With the final recommendations being unveiled by GoTriangle, many in the community are now actively seeking to stop this project. Upon deeper investigation, many of the GoTriangle planning assumptions are either highly questionable or so erroneous that making an informed decision on the options is impossible. We urge local, county, state and Federal decision-makers to require an independent review by external parties that have no role in the development of the PLAN and do not stand to benefit from decisions regarding the PLAN. We, the undersigned, call on you to REJECT the current proposed Durham-Orange Light Rail project and pursue more cost effective alternatives that will meet the long term needs of the region. 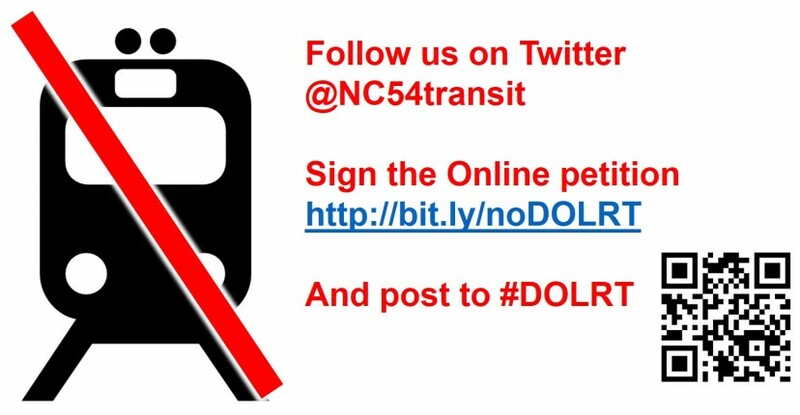 The Stop Durham-Orange Light Rail Train petition to City, County, State and Federal officals, DCHC MPO and GoTriangle was written by Smart Transit Future and is in the category City & Town Planning at GoPetition.